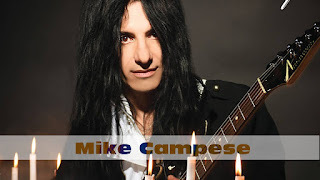 Mike Campese: New Album - "The Fire Within" Available Now! 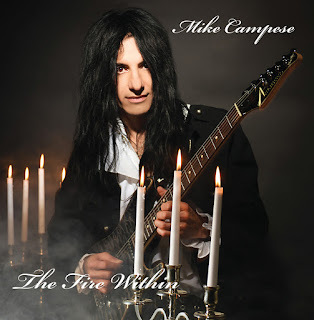 The new album, "The Fire Within" by Mike Campese is out. 12 new tracks. Order now! For more info visit: http://www.mikecampese.com. 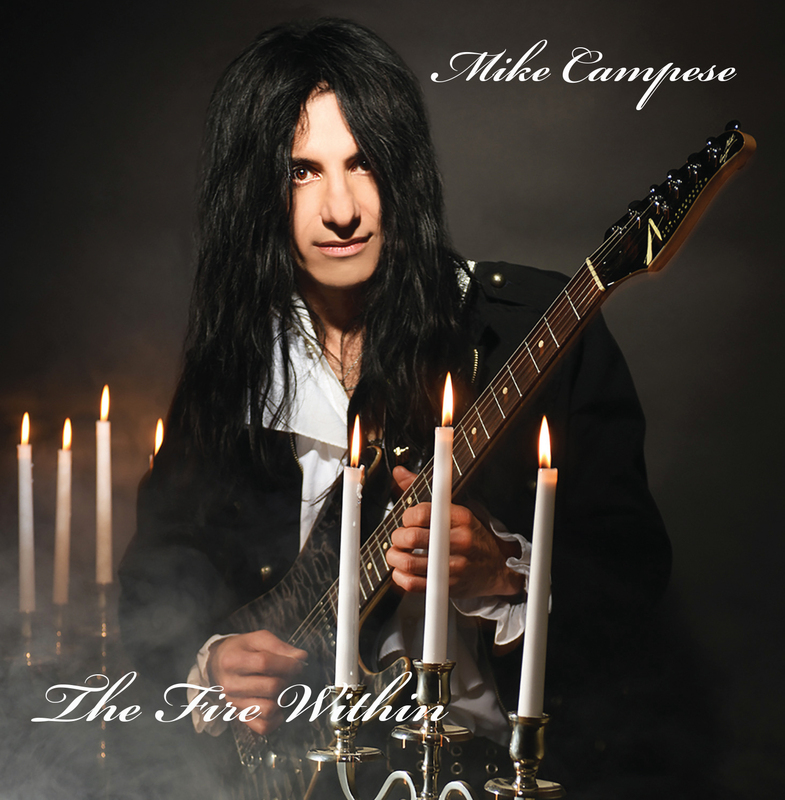 “The Fire Within” is the 10th solo album by virtuoso Guitarist/Composer, Mike Campese. This 12 song, 50 minute album is Mike’s heaviest album to date. Each song features, the powerhouse drumming of Patrick Johansson, formally the drummer for Yngwie Malmsteen, of 14 years. The album consists of 7 instrumentals and 5 vocal tracks. The album kicks off with the cinematic song, “The Battle of Pompeii”, which Mike was inspired to write while on tour of Italy and visited the ruins of Pompeii. Immediately following is the blistering title track, “The Fire Within”, which features some ferocious guitar work and some of Mike’s finest shredding to date. “Feed the Flame” is another fast blistering tune, it has some extremely fast classical lines and is one of Mike’s favorite songs to play. There may be some serious shredding on this album, but Mike continues to play and write what he calls, “Melodic Shredding”. Mike visits his roots with his metal inspired song “Broken Promises”, that has some heavy distorted power chords, with some very haunting melodies. While Mike is singing, there is some extremely fast lines in between the progressions, with the drums peeling beyond belief at the same time. Another heavy song is “Desire”, which has some very fast shredding in between the vocals that the metal fans are really going to love. This album has some heavy music on it and there is something for everyone. There is even a slow beautiful ballad, titled “All Alone”. This song has some soaring guitar and vocal melodies, with a very lush arrangement. Another great song is, “Lies”, which is a mid tempo tune, with a great groove that features some great vocals and some incredible guitar work by Mike. Like every album Mike releases, he shows his versatility as a player and writer. There is some funky tunes on this album, like “Walking Contradiction” and the funky rock, electronic song “Throw it all Away”. The upbeat instrumentals, “On the Road to Liguria” and “Tuscan Road”, were inspired by Mike driving on the beautiful roads, across Italy. These songs as well as many others on this album, have some great musical changes that are very unpredictable and will keep you on your toes. There is even a blues track on this album, “Hana Highway”. This song was written in Maui, Hawaii and was inspired by driving the Hana Highway, the opposite way. Mike drove the 64 mile road, with 620 hair pin turns, 59 bridges, which are mostly one lane, while only eating a banana, a bagel and drinking 2 cups of coffee. This song features some of Mike’s finest blues playing and slide guitar to date. Mike is very proud of this album and we feel that the Mike Campese fans are going to love it. The album is available at www.mikecampese.com and all worldwide platforms, such as Amazon, iTunes etc. Please visit Mike’s website, for more information, contact info, photos, press, song samples and social media links. Mike Campese - New Album - "The Fire Within" Available Now!